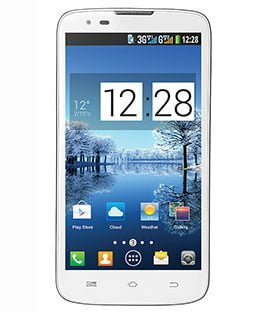 Idea Cellular today announced the launch of Idea ULTRA – dual-SIM 3G smartphone (phablet) powered by a 1.2GHz Quad core processor runs on Android Jelly Bean (4.1.2) for Rs.10,500. Idea ULTRA is the ideal smartphone or Phablet for the youth, looking for a premium and big size phone. Its comes with 8MP primary camera with flash can capture up to 90 continuous images of a moving object. The smartphone has 12.7cm (5”) IPS display with 16M colours, capacitive multi-touch and light sensor giving its user an extraordinary experience with its display. Its 2000 mAh battery ensures strong battery back-up over 2G and 3G network. The handset offers best audio-visual experience on the go with ultra-fast 1.2GHz Quad core processor and ultra-smooth screen. Idea ULTRA comes with Bluetooth 2.0 and Wi-fi, ensuring connectivity to its users at all times. Idea ULTRA is the 12th Smartphone from Idea in the last two years, and the company has previously sold over 6 lakh devices in the 8.89 cm (3.5”), 10.16 cm (4”) and 11.43 cm (4.5”) categories, in the Indian market. Idea Cellular plans to retail the new Idea ULTRA through its own retail and service outlets across major 3G markets – Maharashtra & Goa, Andhra Pradesh, Madhya Pradesh & Chhattisgarh, Kerala, Gujarat, UP West & East, and Haryana. As a special offer with ULTRA, Idea users across all major 3G markets can avail 3G data benefits of 3GB 3G Mobile Internet & Free Idea TV for 3 months, with a pack priced at Rs. 259 – Rs.261. i have purchased this pone on jan 26 . Phone is looking very good. but if we are in pattern lock mode, attempts are over the phone will lock automatically. How i solve this problem.